(color) of rebar according to size or Name property. You can go for selected rebars or you can load all rebars (full model) option. And then you can choose if you want to assign class depending on Size or Name and press Load button. You can filter out specific rows using filter option. You can add partial string or exact string for searching it will display rows containing that string. 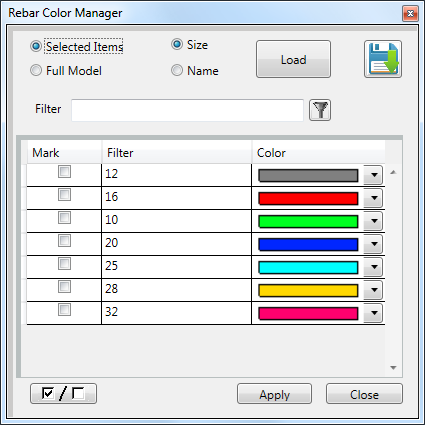 And then you can modify color for specific rebars only. 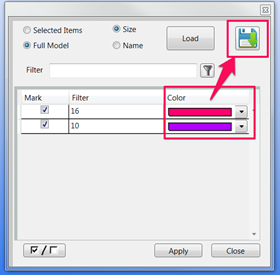 You can save current color criteria and use again by using save button.